When you need a quality plumbing, heating, and air conditioning company in Wayne, NJ, call Rite Rate! Our services are pocket-friendly for any budget and most of all we’re reliable. 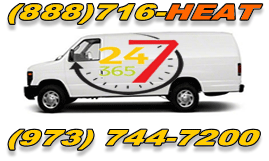 Our top service is 24/7 air conditioning, plumbing, and heating repair in Wayne, NJ. This is due to our availability being open 24hrs a day, 365 days a year regardless if it’s at night or on the weekend. All of our plumbers and technicians are licensed and certified in order to provide you with the best plumbing and HVAC services in North NJ. After wear and tear, it’s inevitable that you will need heating repair in Wayne, NJ. Rite Rate ensures we’re available 24/7 in the case of a heating emergency. We’ll fix the problem quickly and restore your residential or commercial heater back to normal. In addition, we also offer heating replacement in which repairs won’t do the trick. Our techs will diagnose your boiler or furnace and replace any parts or if need be the entire heater. We also help our customers choose the right heater for their home or business and install the new furnace or boiler. The next time your toilet is clogged, your outdoor drains need cleaning, or you need a new sink installed, call Rite Rate. Our professional plumbers are licensed and experienced to handle all your residential and commercial plumbing needs. We can repair, replace, and install faucets, sinks, showers, toilets, drains, pipes, and much more! At Rite Rate, our air conditioning company in Wayne, NJ, can service all makes and models of commercial and residential air conditioners. We cover central AC’s, ductless air conditioners, heat pumps, packaged air, and much more! Should your air conditioner stop working, you can trust Rite Rate for air conditioning repair. Our techs can also replace any parts or offer to replace your old air conditioner. Don’t hesitate to call us for air conditioning repair, replacement, and installation!